Coming off two full weeks of nightshift, I thought it's about time to do some serious cooking. But then exhaustion kicked in and I felt as if I have just travelled cross-continents and time zones, still suffering from the effects of jet lagged. Disorientated in mind and heart with aching bones, I just couldn't bring myself to whip up any enthusiasm. Peering through my neglected pantry, I came across one of my kitchen stable gleaming hopefully back at me. Fermented black beans, my life saviour! To the uninitiated eyes, they looked like rabbit droppings. 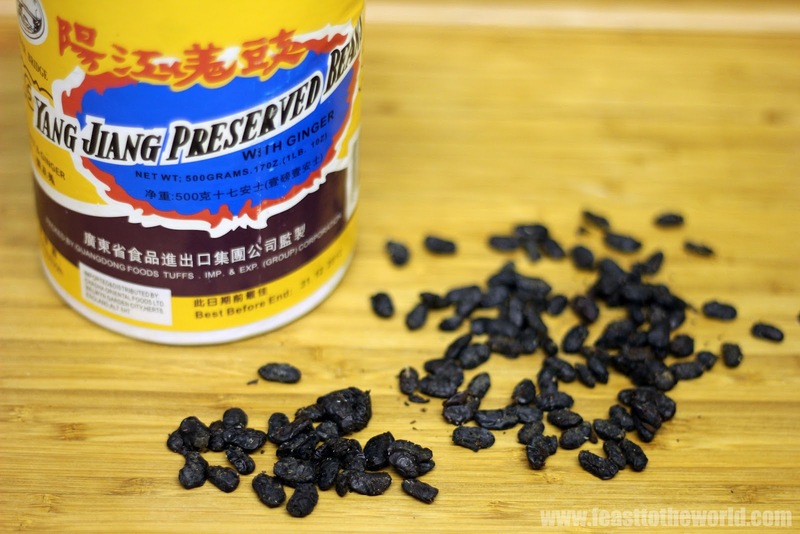 But these are actually black soybeans that have been fermented in salt. 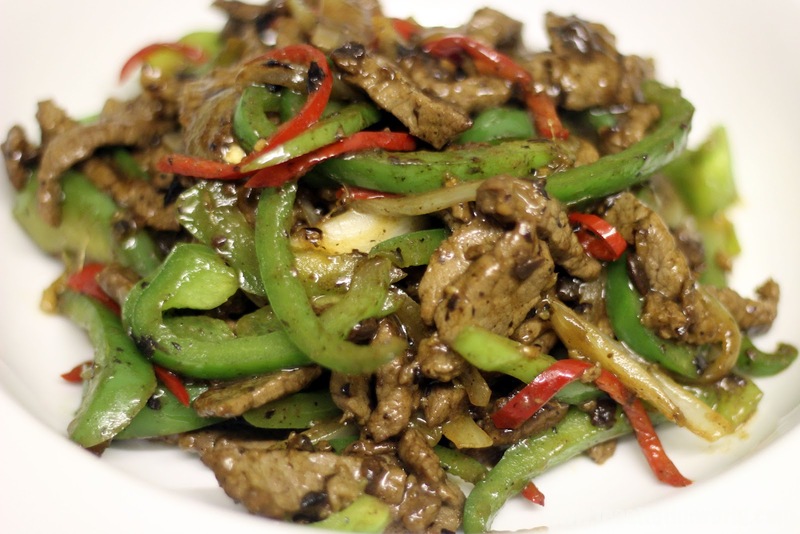 They have a deep rich salty flavours which give great flavours to many boring stir-fry dishes. 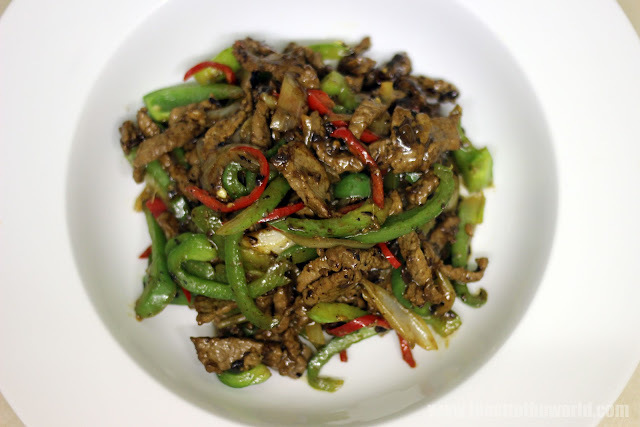 With this wonderful ingredient, I made a quick and simple delicious stir-fry beef with peppers and black bean sauce, which is a typical Cantonese-style dish. To make life easier, you can always get the ready bottled sauce from your local supermarket chain. However, I personally find them far too salty and often lack the same intense flavours. The dried version has a better taste and when stored well, will last for a long time. If you have never tried fermented or preserved black beans before, I strongly recommend you to buy them from your local Chinese supermarket and give them a go. You don't know what you are missing. In a bowl, combined the beef and the marinade ingredients and leave to marinate for at least 30 minutes. Heat the oil in a wok over medium high heat until almost smoking. Add the beef and cook, stirring constantly for 1 minute (This process is call 'velveting' and give the beef a succulent finished). Remove and drain on some kitchen paper. Do not overcrowd the wok. Do this in batches if necessary. Pour away all but 2 tablespoon of the oil. Heat over high heat until smoking. 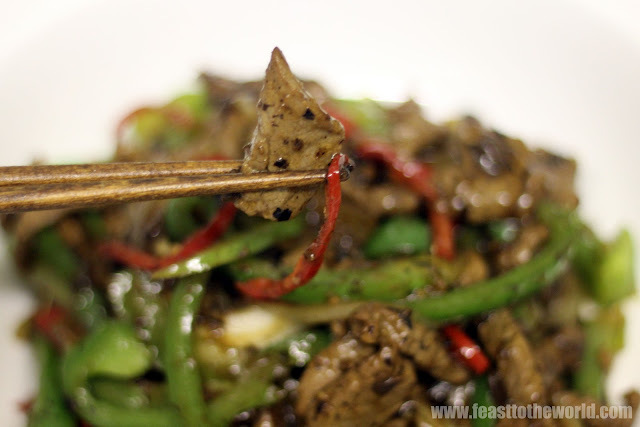 Add the black beans, garlic and ginger and stir-fry for 30 seconds, until fragrant. Add the pepper and chilli and cook for another minute before adding the beef, along with the soy sauce, rice wine, sugar, stock or water and the cornflour mixture. Cook for 2 minutes making sure to coat everything with the now thickened sauce. Add the sesame oil and serve hot with some steamed rice. poor you, glad your night shifts are finally over. looks damn good, won't even think it's something you whipped up in a half-dead state! Night shifts are so brutal! I love black beans, so flavoursome. This looks great.